Seeing Northern Lights is on your bucket list? But you’re still not a millionaire to make an expensive trip to the north? First of all, don’t put the Northern Lights trip on hold because of money. You don’t have to be a millionaire to see Auroras. Neither you need a salary above the average. You are a person who has a budget and the desire to see the green lady dancing in the sky? That post is for all the lovely people who has a budget on traveling and want to see Northern Lights. Tromsø is the biggest city in northern Norway. The city is close to wilderness where no artificial lights hide the green lights in the sky. 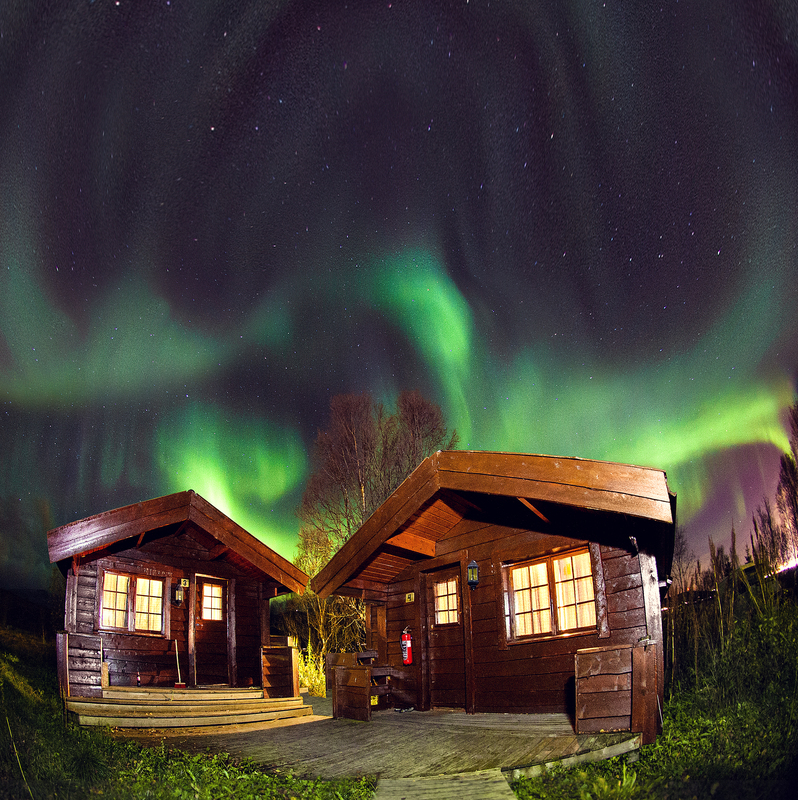 You’ll have many possibilities to move around and discover pure nature among others Northern Lights. A car is inconceivable to get around. The idea is to chase Northern Lights in your own speed, without having time pressure because the bus departs. 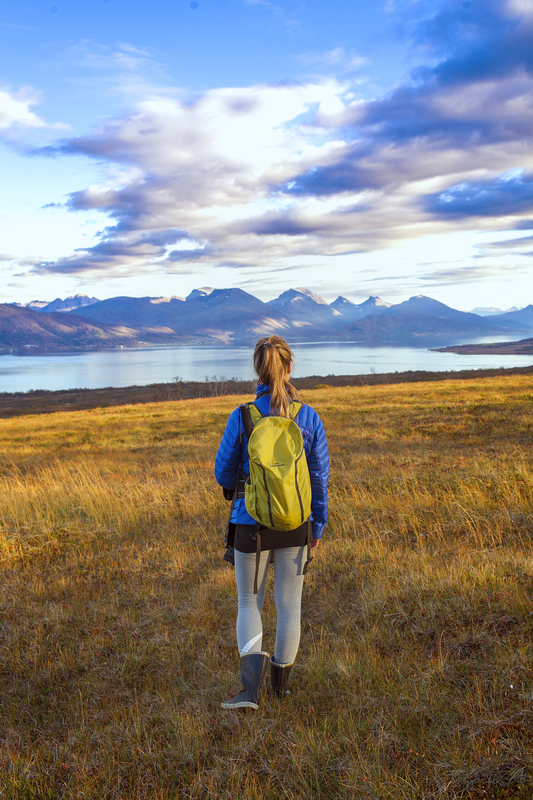 If you have good camping equipment for cold and freezing nights, the next idea might be interesting for you: Take your tent, your sleeping bags and some food and discover the wilderness around Tromsø. Otherwise there is the option to rent a campervan: Have your own toilette, shower and kitchen always with you wherever you go. The rental might be the most expensive investment in your trip. But we have a good new, once you’ve invested in the renting you won’t have to invest in any other accommodation! You can book a car online even before your trip to Tromsø has started. Compare prices and companies. Rent a Wreck: A company that rents old, used cars for a good price. You’ll find the common car rental companies if you use google. 3. How to see Auroras? Northern Lights is no activity that you can book. Northern Lights is pure nature. There are so many considerations that have to play together at the right time. 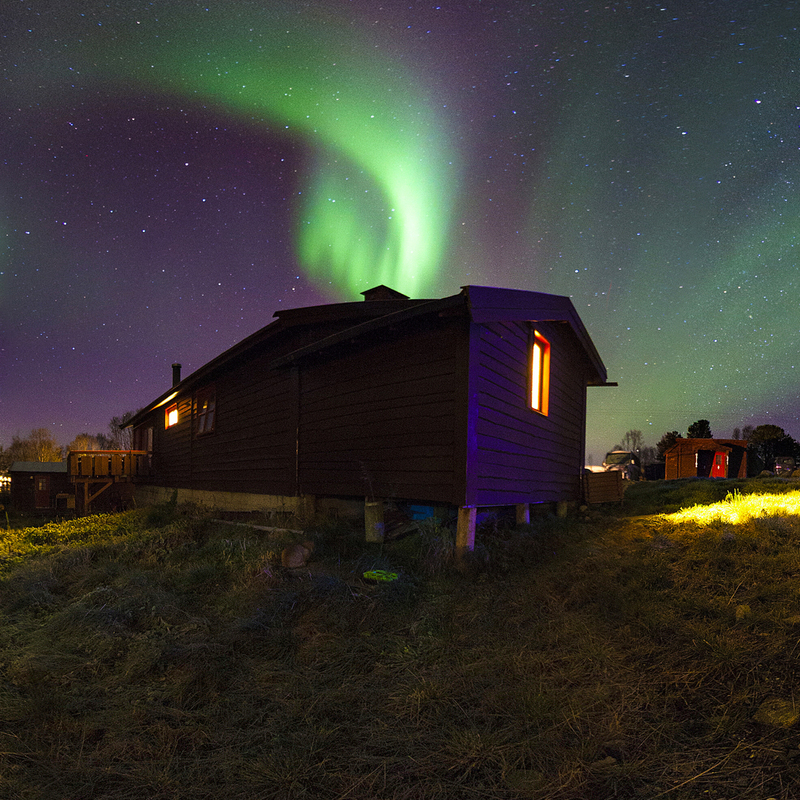 As soon as the days get shorter, the chance is bigger to see Auroras. We saw the first green lights at the end of August this year. It was around midnight. Anyway every night the activity of Northern Lights vary. The Aurora-Service website might gives you an idea about it. A clear sky helps for making it easier to see Auroras. Is it cloudy, foggy or rainy the chances are lower to see Northern Lights perfectly in their best appearance. But if it’s cloudy in Tromsø city it doesn’t mean, it is cloudy everywhere! That’s why you need a vehicle. Check out the weather forecast. In which region is a lack of clouds close to Tromsø? Your car will bring you to the best clear spots. The whale island Kvaløya is a nice spot for seeing Northern Lights. Just drive around the island and stop wherever you feel comfortable and where the green lights appear. Auroras appear and disappear. You never know if they appear again or if they get stronger. It’s nature. Be awake and don’t miss any chance to spot Auroras. Take as much warm clothes and blankets/sleeping bags as you can. It might be a long, cold and crazy night. If you haven’t seen Northern Lights on your first night, don’t give up and try it again. You might see Northern Lights every night if you’re lucky. 5. What to do in Tromsø during daytime? Hiking: In another blog post are three enjoyable hikes described, if you wonder what to do in Tromsø in autumn. Check out Tromsø city and do some shopping. Once you have your own car or van the doors are open for any places around Tromsø. What do you think about a Northern Lights road trip? 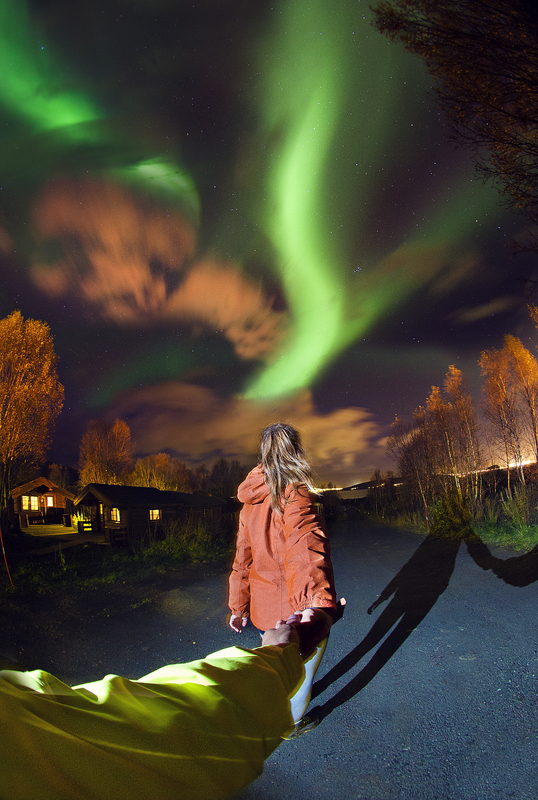 Your mission: to catch Northern Lights and to discover a part of Norway. 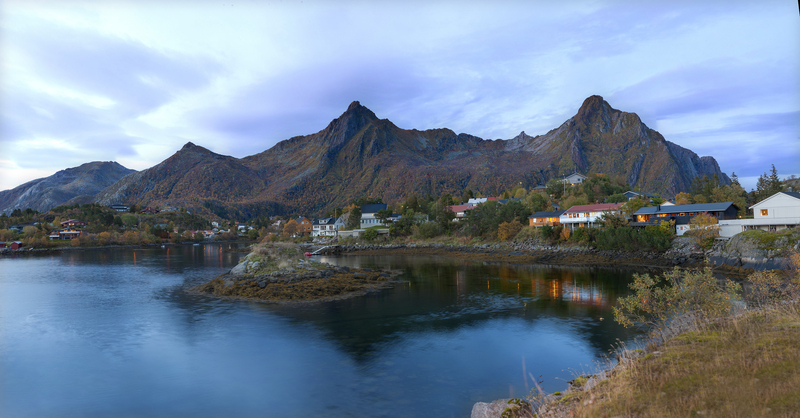 Take your car and discover Senja during daytime and the Northern Lights during night. Senja is about 2 hours and 45 minutes away from Tromsø city. The second largest island of Norway is famous for unique fjords and landscapes. 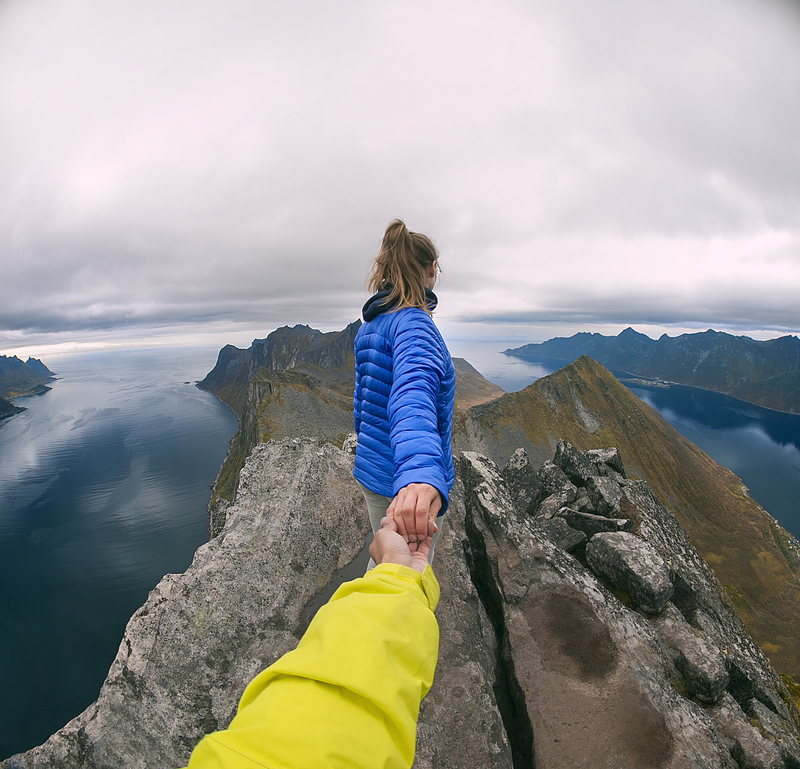 Make some hikes, discover lonely villages and sleep next to the ocean watching Northern Lights. Take your car and discover Lofoten archipelago. There are around 80 islands connected by bridges and tunnels. Some incredible magnificent landscapes and fjords are waiting for you. Many villages and towns offer various activities. After sightseeing and discovering pure nature put up your tent or park your van on lonely land and chase Northern Lights. You don’t have to book any expensive Northern Lights tours. Nobody of the providers can know if you’ll see Northern Lights on the day you booked the tour. It’s nature and the action of nature is unforeseeable. If you want to see Auroras, you should be outside watching the sky every night of your trip. If you’re lucky you will see the best Northern Lights in your life and you can cross out that point on your bucket list. Get a first impression of the green lady with the 360° picture. Those recommendations can be copied for any other place in Scandinavian countries. The tip to go to Tromsø based on our own experience. We haven’t been to any other place in Scandinavian yet.